Mass of Christian Burial will be 10:00 A.M. Saturday, April 6, 2019 at St. Patrick’s Catholic Church, Wapella, IL with Rev. Fr. Geoff Horton celebrant. Burial will follow at St. Patrick’s Cemetery, Wapella, IL. 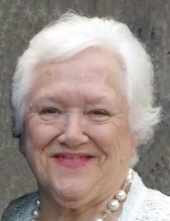 Visitation will be 4 – 7 P.M. Friday, April 5, 2019 at St. Patrick’s Catholic Church, Wapella, IL. Calvert Funeral Home, Clinton, IL is in charge of arrangements. Transition Hospice or Wildlife Medical Clinic at Illinois College of Veterinary Medicine University of Illinois. "Email Address" would like to share the life celebration of Bernadine Toohill. Click on the "link" to go to share a favorite memory or leave a condolence message for the family.